According to sources, WWD tweeted this late-breaking information. To no surprise, Lady Gaga has inked a long-term licensing agreement with the world's largest fragrance company Coty to create her own perfume line. The agreement was finalized last week and it's being reported that the name of the fragrance will appropriately be titled "Lady Gaga". 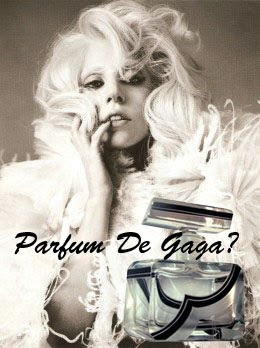 The first edition is said to hit parfum counters sometime in the Spring of 2012. Are you kiddas thinking what we're all thinking...what kind of wildness will this smell like? The bottle will no doubt be a spectacle all on its own. How do you cork Gaga's raw and innovative spirit into a little itty bitty bottle? We'll just have to wait and see!